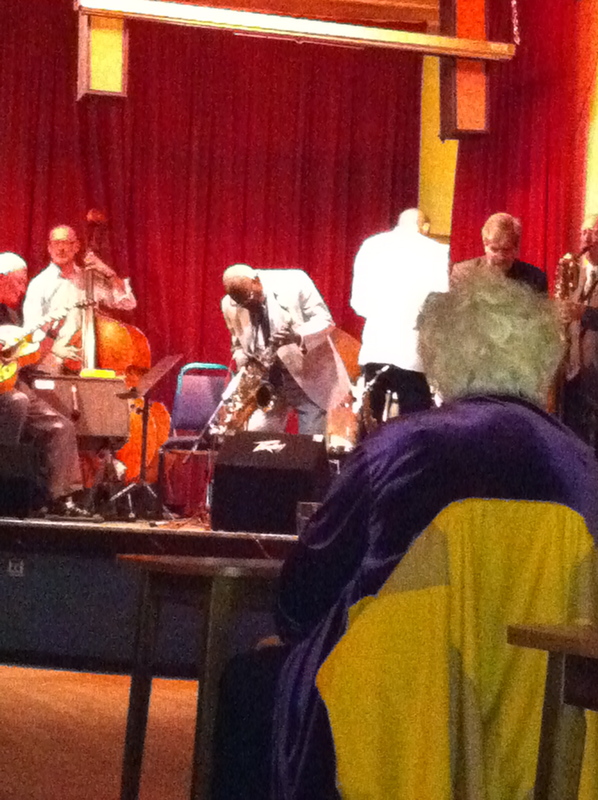 The life and career of Jazz musician Andy Hamilton are quite remarkable – even by Jazz standards! Born in 1918, in Port Maria in Jamaica, his first exposure to music was through the church and a family piano. 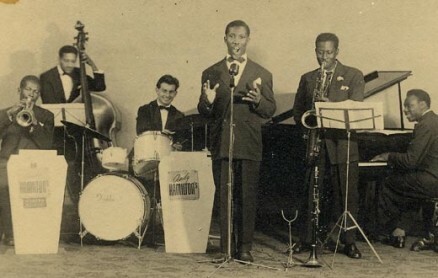 As early radio broadcasts from the USA were received across the Caribbean, Andy heard the original music of what became known as The Jazz Age in the 1920’s. 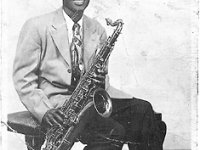 He made his first “sax” from bamboo and got his young friends to form his first band, Silvershine, in 1928. They were offered a booking at the Kingston Carnival where people danced on the roof and it collapsed, while Andy was playing, breaking the double bass. He saw a teenage Jamaican, George Headley score over 700 runs in 4 matches, against England in 1929. 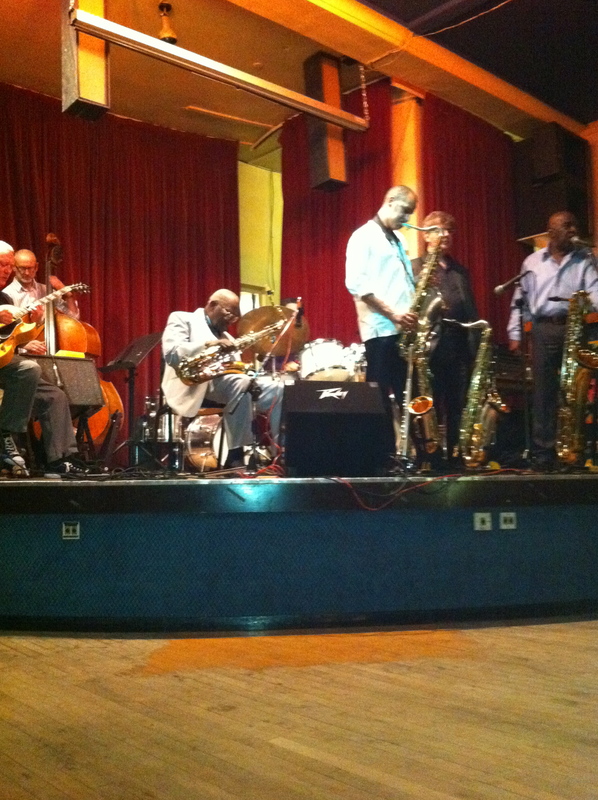 His first experiences on saxophone came through hiring an instrument from a local gambler. Soon Andy had his band and started to perform regularly across the island. 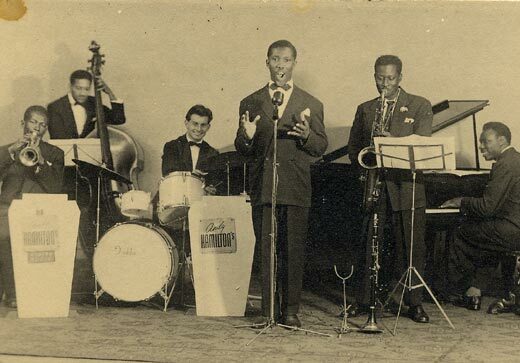 He joined the war effort in the USA and was offered regular gigs on the Jazz trail towards New York. However, he had to return to Jamaica where he reformed his band and took up residency at The Titchfield Hotel in Port Antonio. The most exclusive hotel in the area, regular visitors included Noel Coward and his entourage. In the late 1940’s Hollywood legend Errol Flynn arrived in town and after hearing Andy play, sent a taxi and a summons to meet Robin Hood! 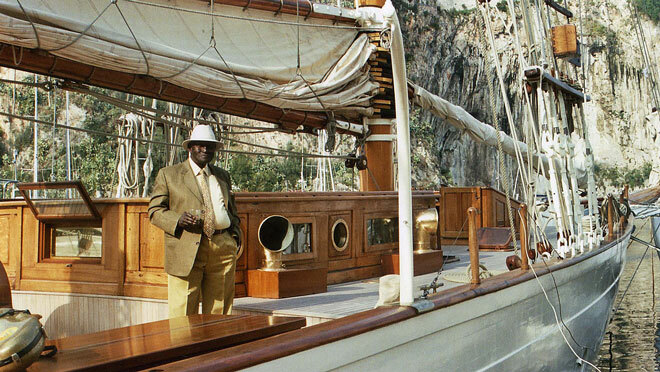 The next 2 years were spent working with Flynn and playing music on the famous yacht Zaka. 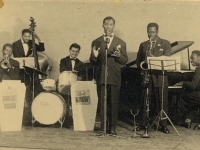 It was in 1948 that Andy composed for Flynn, a Jazz Calypso tune called Silvershine. 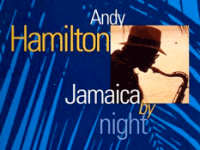 In 1949 Andy, like many others, left Jamaica and set sail for England, intending to make some money and go on to the USA where his heroes, Ellington, Basie, Webster and Lester Young were enjoying the Golden Age of Jazz. He got no further than Birmingham and being denied the opportunity to play in local clubs, formed his own band, The Blue Notes. Life in the 1950’s was not easy in Birmingham and Andy had more than his share of problems with work, accommodation and racism. He lost his front teeth when assaulted by Oswald Mosley’s fascists at a concert he had organised. 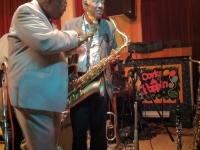 Undaunted he has set up venues and concerts across the city for over 50 years, notably to provide after show entertainment for the great American bands of Basie and Ellington and West Indian Cricket teams in the 1950’s. 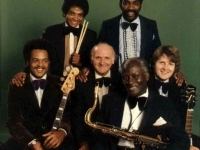 Married with a large young family to provide for and a band to run, Andy rarely ventured outside Birmingham and became a local celebrity who regularly played at civic functions, organised nights and opened venues where people from all ages and backgrounds were made welcome. 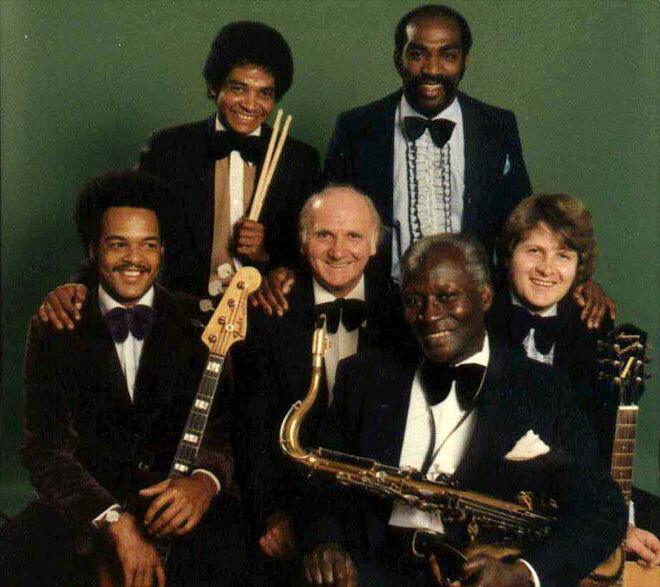 Throughout his career Andy has been involved in teaching and community work, and the 1980’s saw the launch of the Blue Pearls, a big band project which gave many young musicians at that time the chance to shine, amongst them Alvin Davis and Luke Shingler. In 1985 Andy Hamilton was rushed to hospital in a diabetic coma and was not expected to live. While in the coma, amazingly, the melody to Silvershine, a song he had not played or thought about in nearly 40 years, came to him and brought him out of the coma. A new life was about to begin. 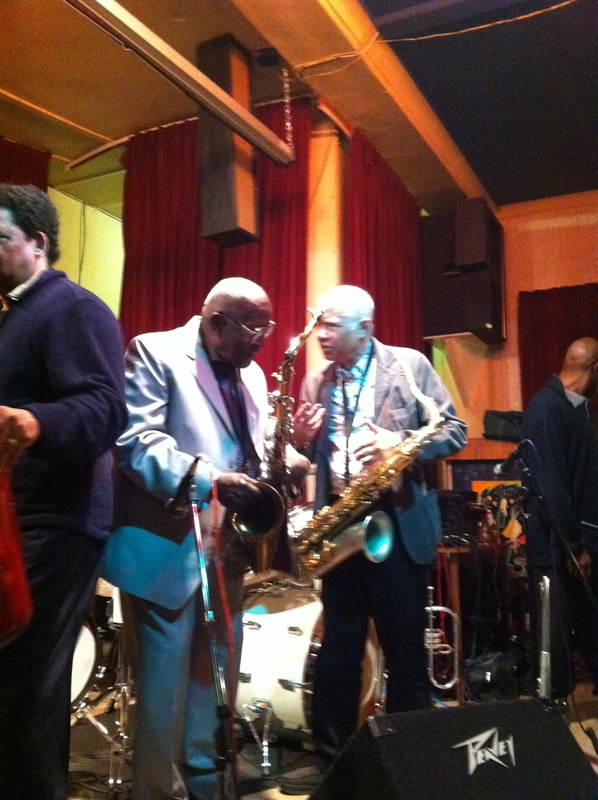 In 1988, his 70th Birthday was celebrated at his regular Jazz venue, The Bear, where Val Wilmer, the UK’s leading Jazz writer paid a visit. Her half page review, in The Independent, was spotted by the promoters of the Soho Jazz Festival who invited him over to play. At his performance Nick Gold from World Circuit Records was so impressed he offered Andy a recording contract, at the age of 72. 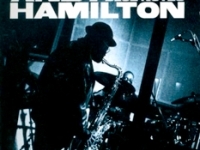 His debut album “Silvershine” was released to universal acclaim, becoming the biggest selling UK Jazz Album of the Year and one of the 50 Sony Recordings of the Year The Times Jazz Album of the Year. Andy also had film documentary made about him by the Foreign Office, directed by an Oscar winning producer. Furthermore BBC, TV and radio broadcast some of his live concerts, whilst Andy was invited to major festivals and venues in Paris, Milan, Madrid, St Lucia, Jamaica. It was followed in 1994 by another great album, “Jamaica by Night”. In 1996 he was awarded an Honorary Master of Arts degree by Birmingham University and in 1999 he was presented with a Millennium Fellowship for his work in Community Education. 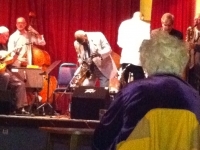 He is a key figure in the development of the Jazz programme at The Drum. He’s played regularly at prestigious international venues and festivals from St Lucia to, most recently, the South African Jazz Festival. 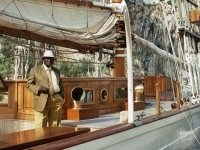 He’s played at the BAFTA awards, The Globe Theatre and WOMAD festivals across Europe and in 2006 he was reunited with the newly refurbished Zaka, Erroll Flynn’s legendary yacht. In the 2008 New Years Honours, to coincide with his 90th Birthday, Andy was presented with an MBE for services to Birmingham. That was soon followed by a fellowship of the Birmingham Conservatoire and a Birthday Concert at the newly refurbished Birmingham Town Hall..
Now in his 90’s he is still playing and teaching privately as well as maintaining his involvement with community and educational projects. 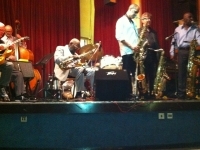 Alvin Davis who started with the Blue Pearls is now teaching at another Andy Hamilton project, The Ladywood Community School of Music. Originally supported by the Millennium Commission, it brings professional music tuition into the heart of Ladywood, the place that Andy decided to make his home. 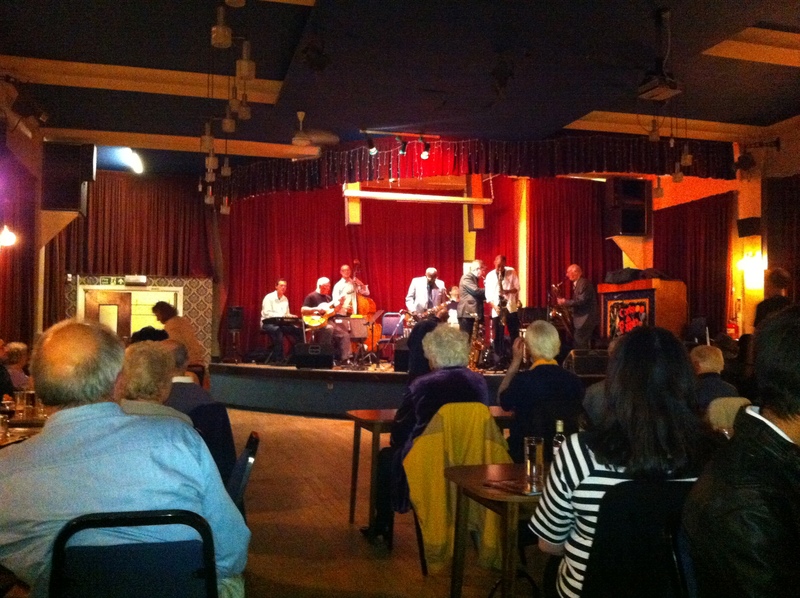 Meanwhile the current heir to the Blue Pearls crown is the Notebenders Big Band which gives budding musicians from across the West Midlands (including Music School students) the chance to perform in regular live concerts. 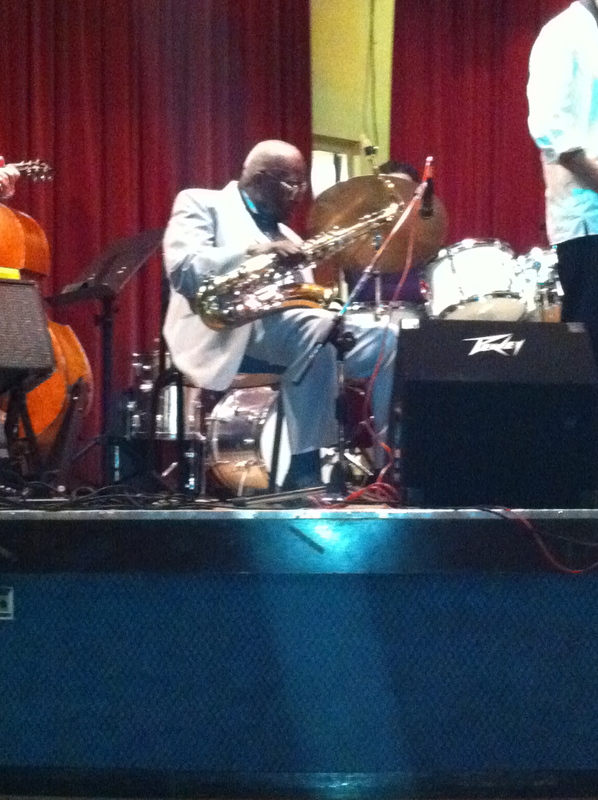 This is the great man, still playing on his 93rd Birthday last year. 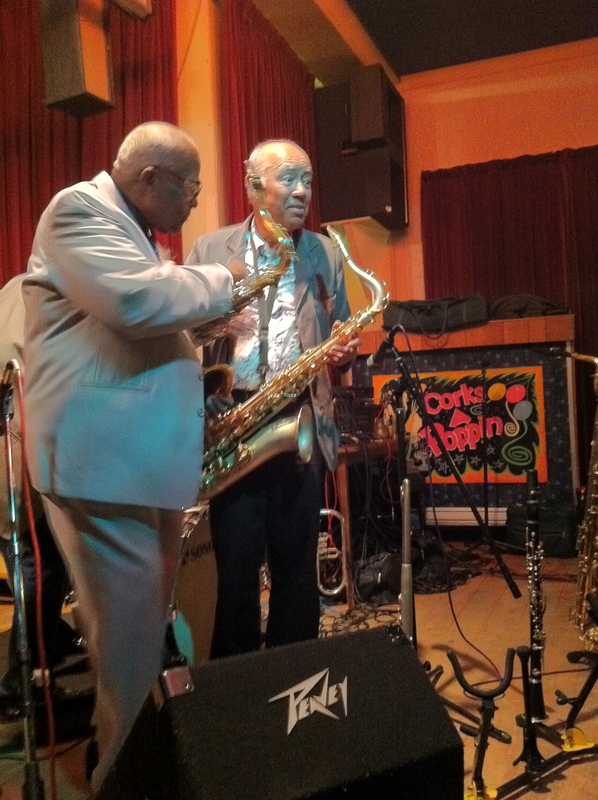 Incredibly, he 94th birthday concert is coming up! 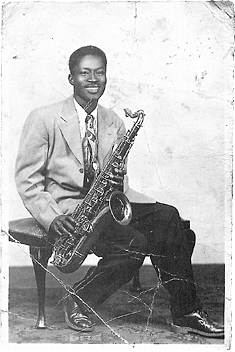 1918 Born in Port Maria in Jamaica, his first exposure to music was through the church and a family piano. 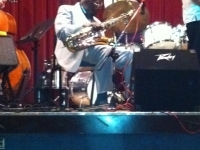 1928 Made his first “sax” from bamboo and formed his first band, Silvershine. 1946 Returned from USA and took up residency at The Titchfield Hotel in Port Antonio, the most exclusive hotel in the area, owned by Errol Flynn. 1947 Hollywood legend Flynn arrived by yacht and after hearing Andy play, sent a taxi and a summons to meet “Robin Hood” and the next 2 years were spent with Errol Flynn as resident bandleader and playing at his infamous parties. 1948 Andy composed a tune called SILVERSHINE for Flynn. 1949 Andy left for England, intending to go on to the USA. He got no further than Birmingham teaming up with Dizzy Reece and Joe Harriot. 1985 Andy Hamilton was rushed to hospital in a diabetic coma and was not expected to live. While in the coma, the melody to Silvershine came to him, the song written for Errol Flynn that he had not played or thought about in nearly 40 years and brought him out of the coma. A new life was about to begin. 1988 70th Birthday celebrated at his regular Jazz venue The Bear and acclaimed Jazz writer, Val Wilmer wrote a review of the gig in the Independent and The Soho Jazz Festival spotted the review and invited Andy to his first public gig in London after which Nick Gold from World Circuit Records offered Andy a recording contract. 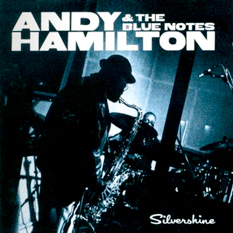 1990 At the age of 72, Andy’s debut recording Silvershine , wasThe Times Jazz Album of The Year, Sony Recording of The Year, it was the biggest selling UK Jazz Album. 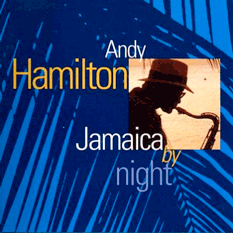 1992 Second album Jamaica By Night tours Britain, Europe and Caribbean. 1996 Awarded an Honorary Master of Arts degree by Birmingham University. 2000 Honoured for his work by Jamaican Government. 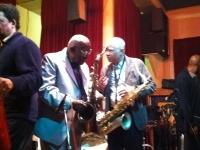 2002 Andy records in Havana, Cuba with the Buena Vista Social Club. 2003 85th birthday at Symphony Hall with Patti Austin, broadcast by BBC. 2007 First band to play live at new Birmingham Town Hall. 2005 – 2012 Arts Council funded Drum, Bearwood, Symphony Hall programme. Andy has headlined at major festivals and venues in Cape Town, Paris, Milan, Madrid, St Lucia, Jamaica (inducted in The Hall of Fame) and WOMAD.